Office staff is expected to only use mobile devices by the end of summer. Accountancy giant PwC has announced that it is ditching landlines in favour of mobile phones with all staff expected to only use mobile devices at the office by the end of summer. The company, which employs 18,000 staff at its 24 office in the UK, has cited improved efficiency as the reason behind the switch to mobile. While office staff will soon be using their mobile phones to conduct business, a few landlines will remain on-site for security use and at reception. PwC's meeting rooms will also be outfitted with new conferencing technology that is able to connect to mobiles. “We already equip all of our people with a mobile phone, and many had already moved away from using their landlines. With landline usage falling rapidly, we believe that a more mobile-focused policy is a more efficient way of working." While some smaller businesses have made the switch from landlines to mobile, PwC is one of the first large organisations to do so. 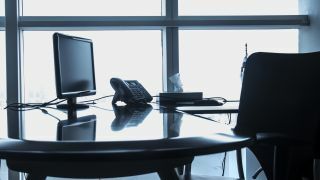 Overall landline use by businesses is already experiencing a steep decline as organisations are choosing to use voice over IP (VoIP) or mobile instead. In 2010, there were over 10m landline numbers in use by UK businesses. By the end of last year though, that number had fallen by 35 per cent to just 6.4m landline numbers still in use. If PwC's transition to a mobile only office is a success, we could see other businesses follow suit especially if it does significantly impact workplace efficiency.